The Amazon Echo Show is a great device to have in the kitchen, living room or elsewhere. When you have the device in your bedroom or office though, you want to be 100% sure the camera is only able to see the world around it when you choose. 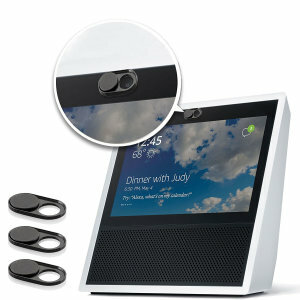 For extra peace of mind and to ensure your privacy is protected, use one of the Amazon Echo Show Camera Covers on your device - which will block the camera when not in use.